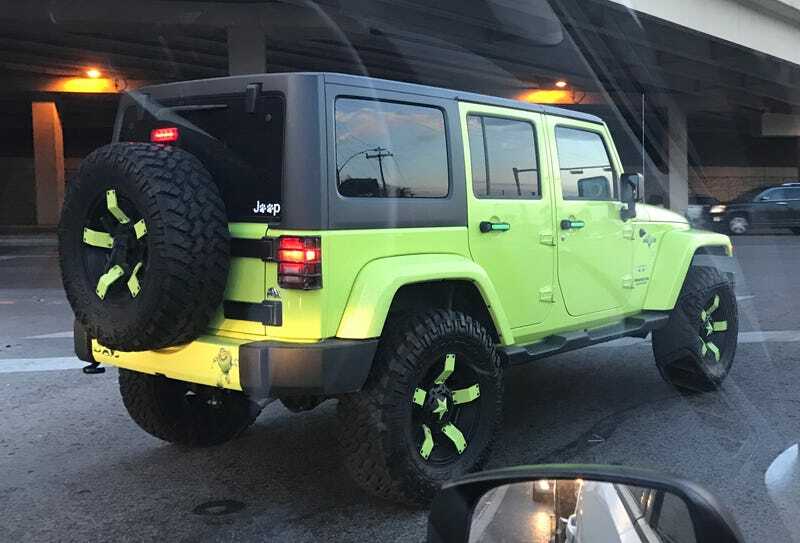 Normally I like bright green Jeeps, but this is too much even for me, especially with the stickers. Normally I like bright green Jeeps, but this is too much even for me, especially with the stickers. Look close and you’ll see they carried th theme over the inside too.